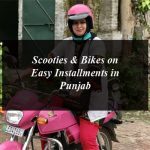 Chief Minister of Punjab Mian Shahbaz Sharif has ensured to implement medical facilities in the province and decide to launch the Motorbike Ambulance Service in Punjab. He said that it’s the right of every citizen to have the proper medical facilities and the government of Punjab is to implement a comprehensive programme. He said that developments programme had been progressed for planning healthcare system on modern lines and we have to move forward quickly for enactment of this programme.